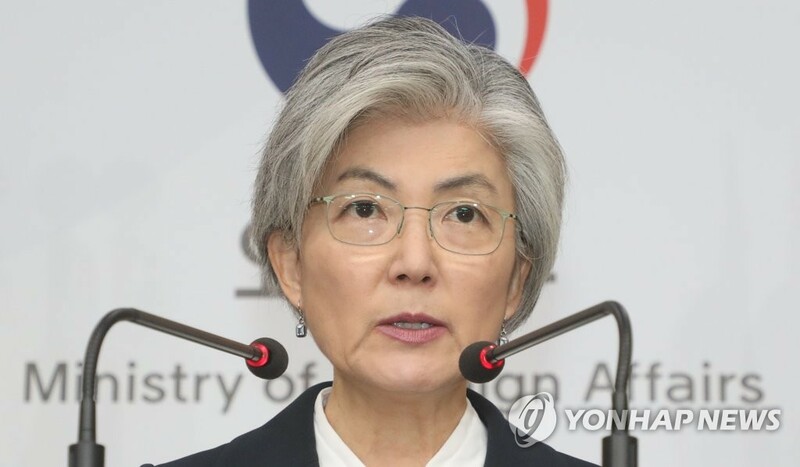 SEOUL, Jan. 22 (Yonhap) -- South Korean Foreign Minister Kang Kyung-wha said that with firm denuclearization goals in place, North Korea and the United States should produce concrete agreements on denuclearization and lasting peace when their leaders meet again. 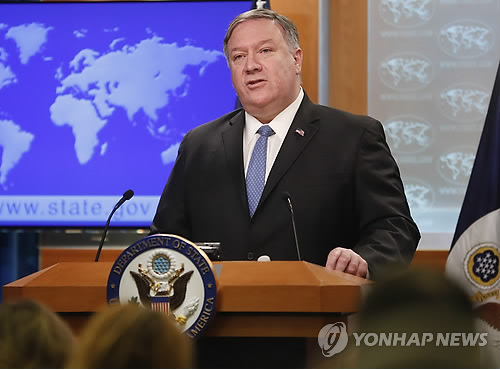 She dismissed a view that Washington might have moved the goalposts, speaking in an exclusive interview with KOREA NOW, Yonhap News Agency's English-language YouTube channel, at her office last week. "The first summit was historic in itself, and the outcome of it was a very broad framework of shared goals," she said, referring to a set of deals between North Korean leader Kim Jong-un and President Donald Trump. 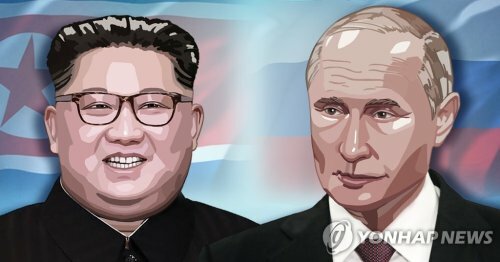 They had talks in Singapore on June 12 last year and agreed to push for a peace regime based on Pyongyang's complete denuclearization and security guarantees from Washington. "So, the goalposts are there and so the second summit has now to produce concrete agreement towards those goalposts," the minister stressed. "I think it will be, if it happens, a very important milestone that further builds upon the developments of last year." 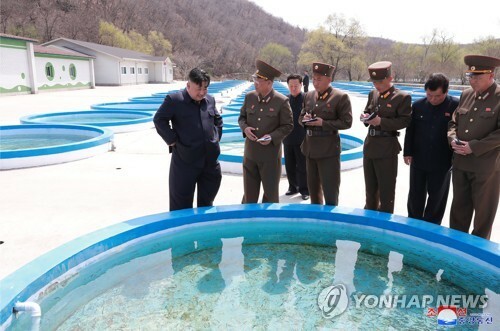 She took note of recent developments, including a Washington D.C. trip by a top North Korean official, Kim Yong-chol. He negotiated with Secretary of State Mike Pompeo and delivered Kim Jong-un's letter directly to Trump. Trump soon said the second summit would take place in late February, with no date and venue announced. In his New Year's address, the North's leader reaffirmed his commitment to complete denuclearization, although a thinly-veiled threat was attached that his regime may be forced to choose a "different path" in case of continued pressure and sanctions. Kang said, "I think it's both the domestic and the international audience intended there. I think that was, while shoring up the North Korean position before coming back to the table with the United States, but also to the domestic audience." Citing close coordination between the allies on Pyongyang, she said it's "excessive" to say that Washington has lowered its bar. Some observers suspect that the Trump administration might have shifted its focus to the elimination of intercontinental ballistic missiles (ICBMs) away from denuclearization for a more realistic accomplishment. These days, U.S. officials rarely use the expression "final, fully verified denuclearization (FFVD)," once billed as an alternative to the term, "complete, verifiable, irreversible denuclearization (CVID)." At least in public, Pompeo talked more about reducing risk and security threats to America in recent weeks. "There's no shifting, not a bit, about what the goal is," Kang said. "It's complete denuclearization. It's a goal stated in a series of (U.N) Security Council resolutions." In fact, the U.S. is negotiating "on behalf of the global community," she added. Kang said Seoul supports a "comprehensive" accord and "step-by-step" corresponding measures, including the declaration of a formal end to the 1950-53 Korean War. The North also hopes for "phased, synchronized" measures in the peace process. "The nature of that declaration is something that will also further encourage the denuclearization process along. We still think it's a very good step for all concerned to take," she said. Humanitarian assistance is among the other early incentives for the North, where many of the 24-million people are suffering poverty. 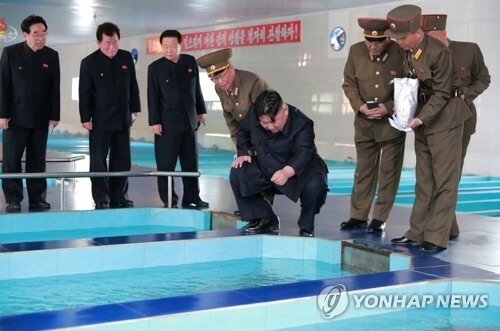 The U.S. recently decided to facilitate North Korea aid by global humanitarian agencies. "It is a positive signal and we've always argued that humanitarian assistance has to be separately considered," Kang said. 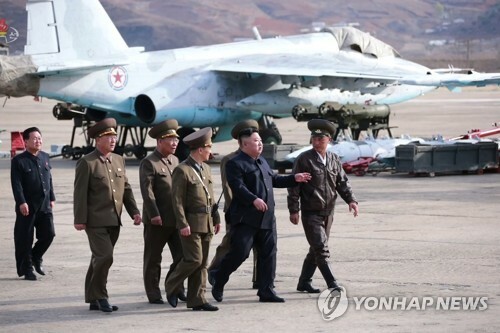 She emphasized, however, the international community will have to faithfully implement sanctions on the North until it's "assured" that Pyongyang is "well on its way to complete denuclearization." She wouldn't predict whether the ongoing diplomatic efforts will be successful or not, but she described repeated commitment to economic development by the North Korean leader, reportedly educated in Europe, as a possible good indication. "He knows clearly that he cannot deliver that under the sanctions regime. 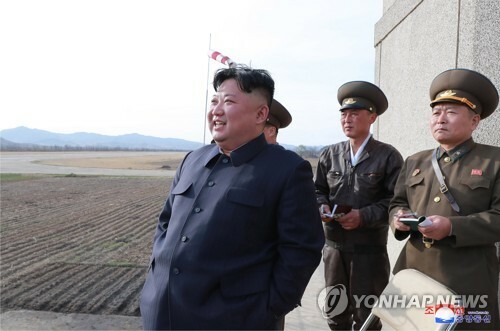 And for the sanctions regime to be lifted, he needs to deliver on the denuclearization track," Kang said.